The first study to investigate microplastics around Ascension Island and the Falkland Islands — two of the most remote locations in the South Atlantic Ocean — has found levels of contamination comparable with the waters around the UK. The research, led by Dr Dannielle Green of Anglia Ruskin University, involved sampling at 11 sites on the Falkland Islands and six sites on Ascension Island, as well as locations in Northern Ireland (Strangford Lough) and South West England (Plymouth Sound). 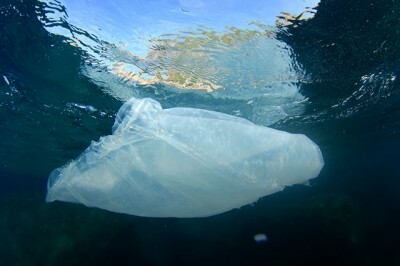 The study, the results of which have been published in the journal Marine Pollution Bulletin, found high levels of microplastic litter at every site sampled around Ascension Island and the Falklands, with the results including microfibres such as nylon and polyester. “Identifying the source of microplastics is difficult, but some of the fibres found in this study had the appearance of weathered fragments of ropes or fishing nets. The Falklands have a relatively sizeable fishing industry, with an annual catch of around 270,000 tonnes per year, but the same cannot be said of Ascension. “Ascension Island has a population of less than 1,000 people and is incredibly remote, located 1,000 miles off the coast of Africa and 1,400 miles from South America. However, we found levels of microplastics comparable, and in some cases greater, than levels found in the waters around mainland UK. The study also compared different methods of monitoring microplastics, and found that using a one litre container combined with a fine filter was a more effective method for capturing smaller microplastics. Scientists currently use a variety of nets, such as plankton, bongo and manta nets, but Dr Green believes that the size of the mesh is leading to an underestimation of the concentrations of microplastics in seawater.